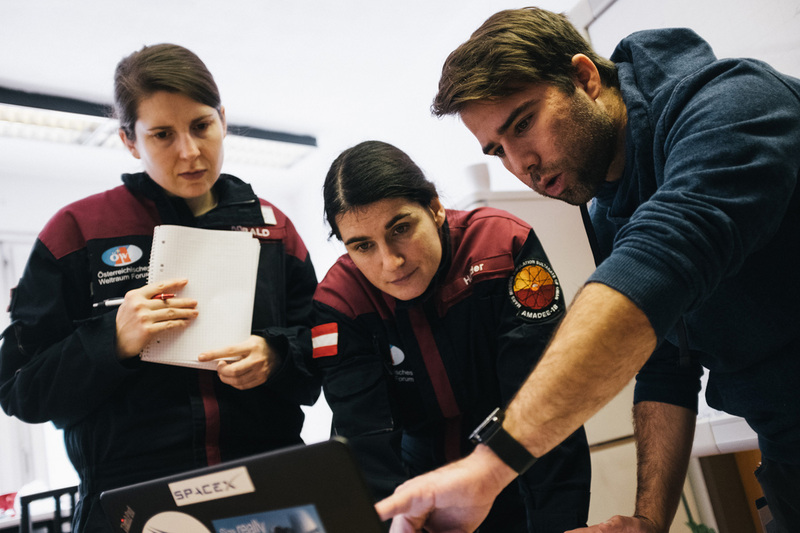 The year 2017 was shaped by our next major Mars simulation: Besides defining a host country, we selected the experiments for the simulation and trained our team to be prepared for February 2018. Moreover we organized the European Mars Conference and inspired countless children for space sciences. Today, on the last day of 2017, we review our year with 12 pictures. 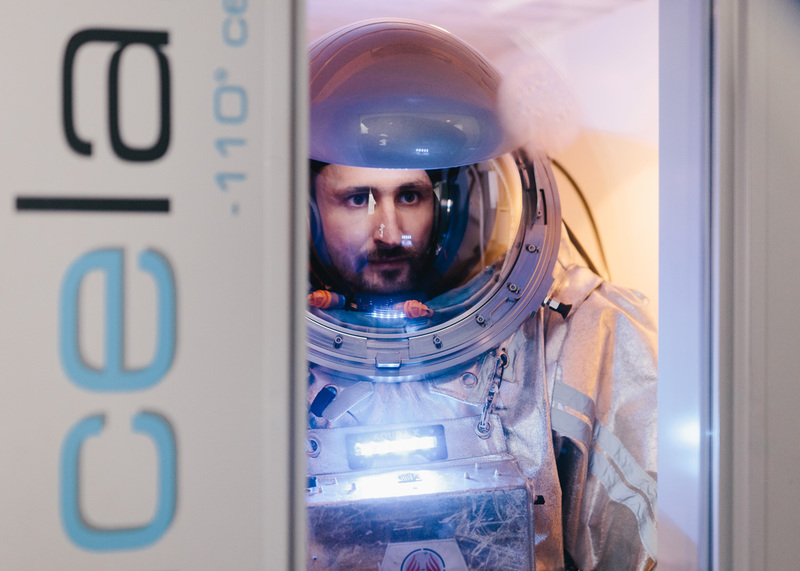 In January, the Aouda spacesuit simulators were tested in an extensive campaign, ranging from cryotests, exposing the suits to 6 Megavolt lightening #strikes, humidity, calibrating sensors, exploring the radio emission behavior and many other tests: The 17A-test campaign was one of the most rigorous and extensive professional test series ever conducted on the Aouda suits. – This was a crucial step for major field campaigns. 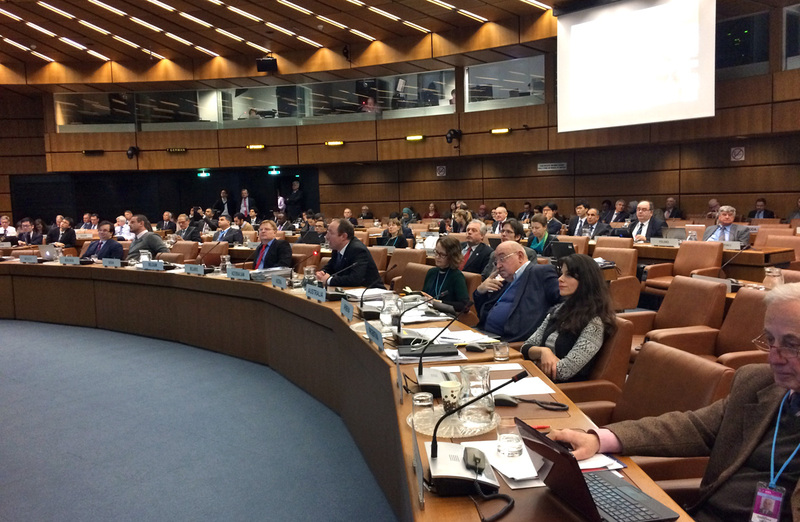 Every February, the United Nations Committee for the Peaceful Uses of Outer Space (COPOUS) gathers for a technical meeting. Members of the Austrian Space Forum are traditionally a part of the national delegation of Austria reporting on the most important space activities of the country in this forum. This is one mechanism, how the OeWF maintains its international network with space agencies, industrial partners and policy makers far beyond Austria’s borders. A number of potential host countries were selected for the AMADEE-18 mission – finally 2 candidates made it into the final round: Israel and Oman. 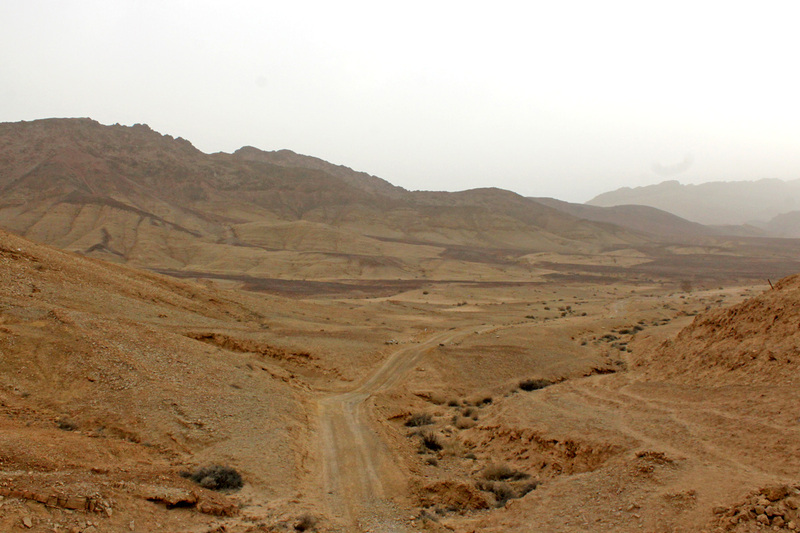 Hence, a scouting team of the Austrian Space Forum made two field reconnaissance missions both into the Israeli Negev desert (seen here) and the Dhofar Region in Oman. 3500km off road, meeting extraordinary people and legendary hospitality in both countries, negotiating with decision makers and researchers, visiting hospitals, assessing climate records and many other factors led to the final selection. 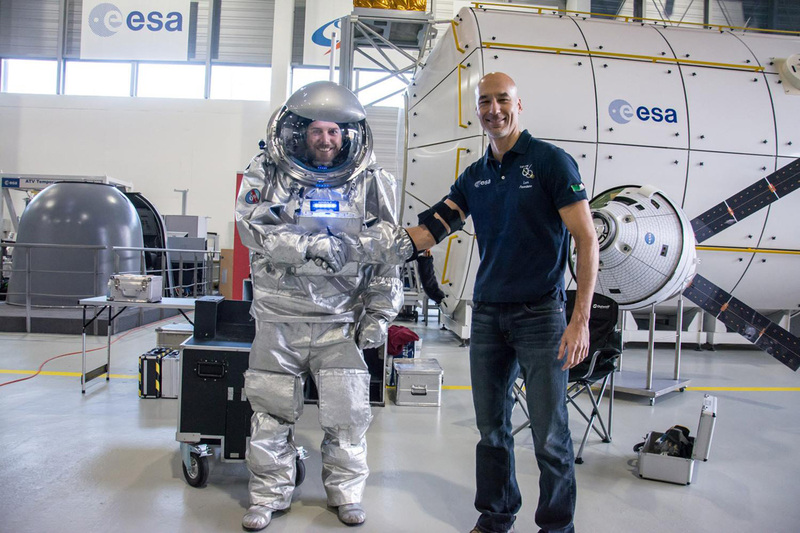 Sometimes we get to interact with ISS-experienced astronauts: Astronaut Luca Parmitano of the European Space Agency, is getting a first taste of the Aouda.X exoskeleton and shares some insights into the ergonomics of ISS spacesuits with OeWF analog astronaut Stefan Dobrovolny after a donning at the European Astronaut Center in Cologne. 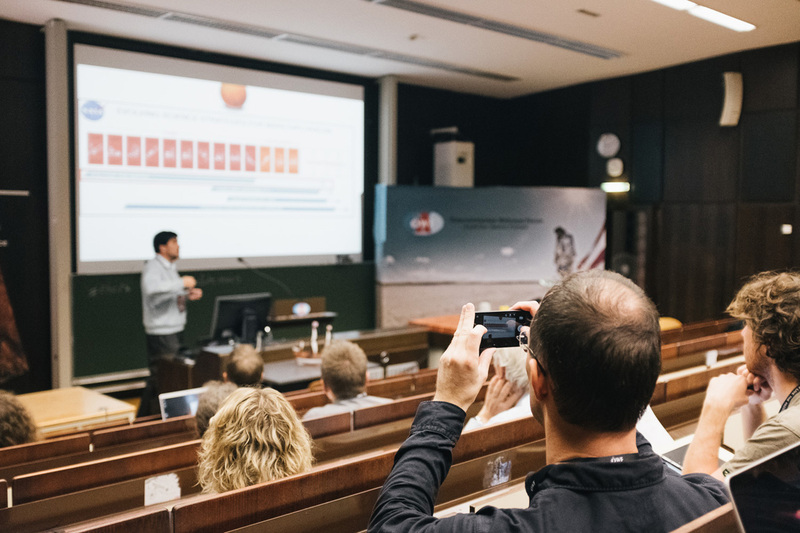 Annually, the Board of Directors of the Austrian Space Forum gather for a three-day workshop, discussing the policy, projects and prospects of the organization. 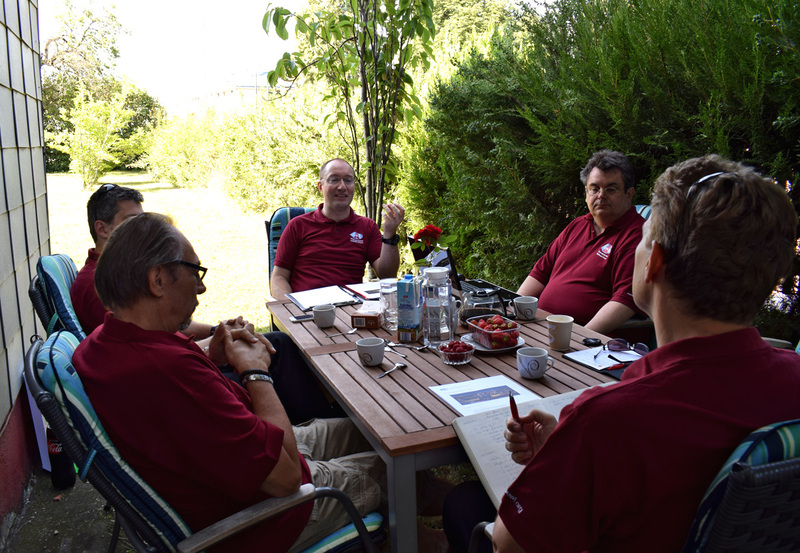 This year’s workshop was held in Vienna – and the Board members obviously enjoy a short break from the intense strategy discussions and decision-making debates. 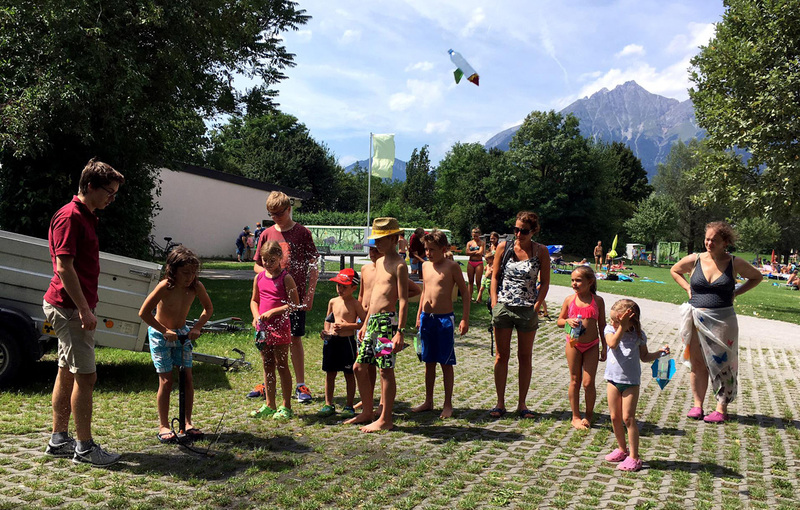 Building water rockets is an example of low-threshold science outreach activities of the Austrian Space Forum: Inspiring the next generation of space explorers is an integral part of our work, reaching more than thousand children every year across Austria. Together with children’s spaces suits, the “Mars rover” dignity and virtual reality tools, space is brought to schools – also with the generous support of the European Space Agency. making sure, the most interesting and ambitious experiments make it into the final round. 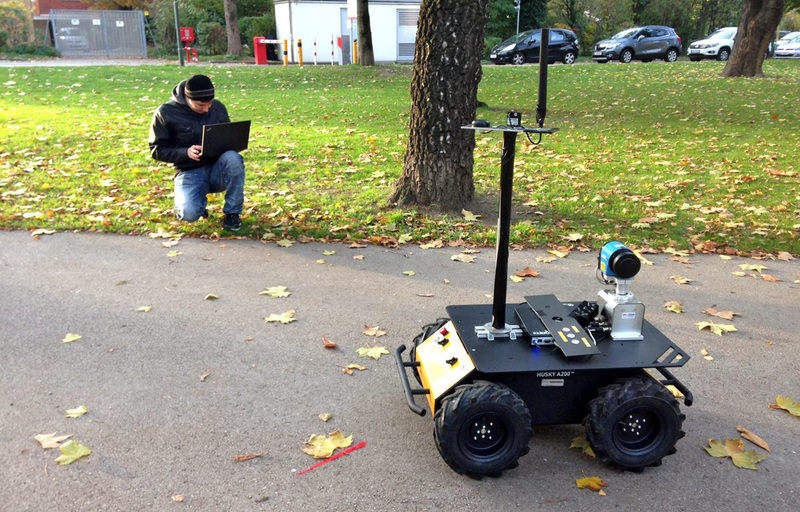 One of the experiments selected was the Husky rover of the Technical University of Graz, which will use a LIDAR to map the surroundings of the base station in Oman. 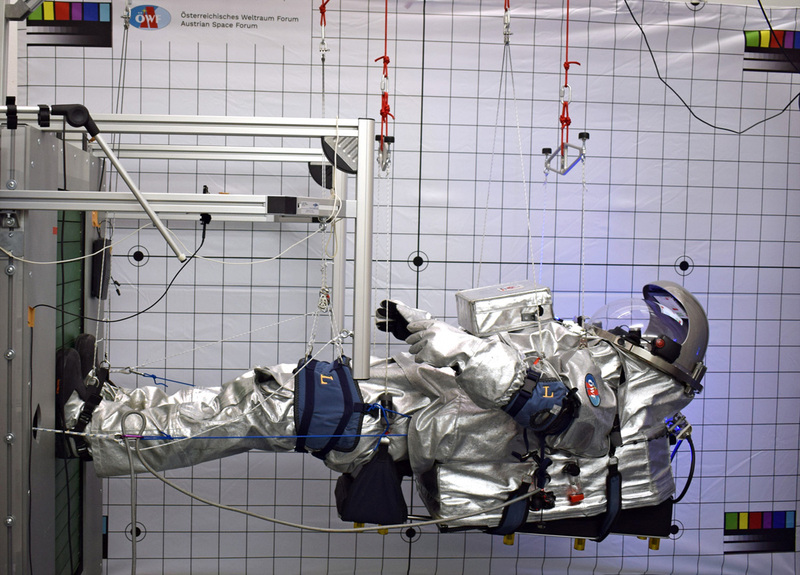 At the Institute for Aerospace Medicine of the German Space Agency DLR, OeWF analog astronaut Carmen Koehler is performing an instrument check at the Vertical Treadmill in Cologne. This suspension device mimics the gravitational levels of Moon, Mars and Asteroids to study walking patterns. This was the first time; this exquisite machine was used with a fully-fledged spacesuit simulator. 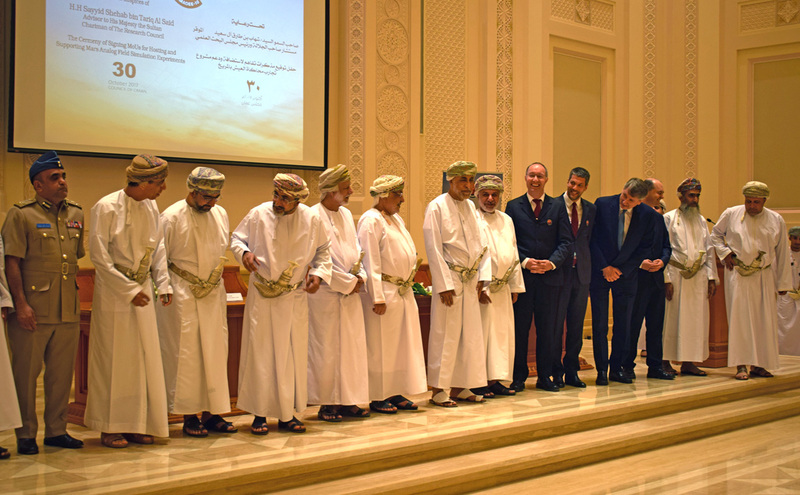 At the State Council Palace of the Sultanate of Oman, the delegation of the Austrian Space Forum signed the Memorandum of Understanding with the National Steering Committee for the AMADEE-18 mission. This marked a major step ahead in the preparation of this major field campaign in February 2018 and stirred a significant media echo in the region. The OeWF has devised an internal training scheme including the AMBT (Analog Mission Basic Training) and the AMAT (Analog Mission Advanced Training) courses: During these, now flight controllers, field crew members, remote science support personnel, ground support and security team members, flight planners and IT specialists learn about the ins and outs of OeWF field missions. These have become too complex, that the traditional “training on the job” is not possible anymore since a few years. This has definitely increased the quality of the Mission Support Center capabilities and the effectiveness of the field crews.